Spring enchants us with tender perfumes. 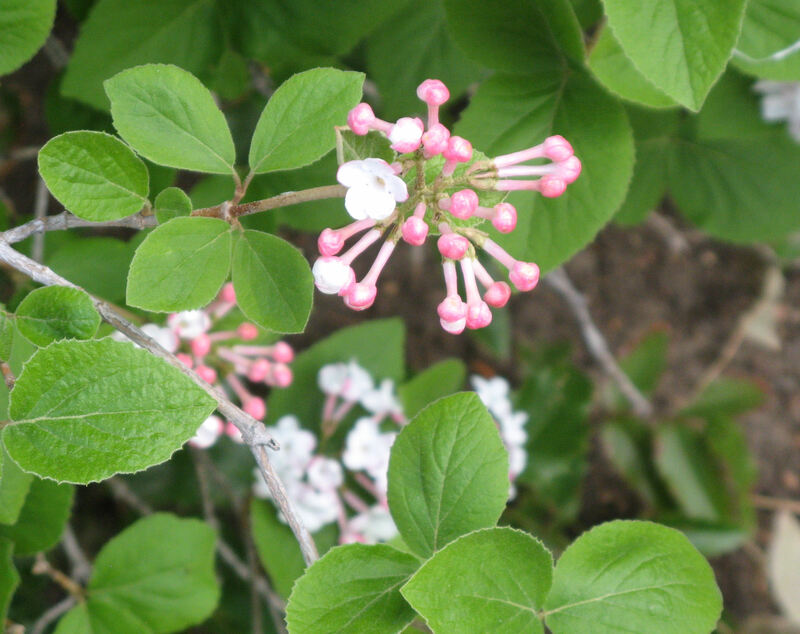 Spice up the sweetness with Viburnum carlesii. 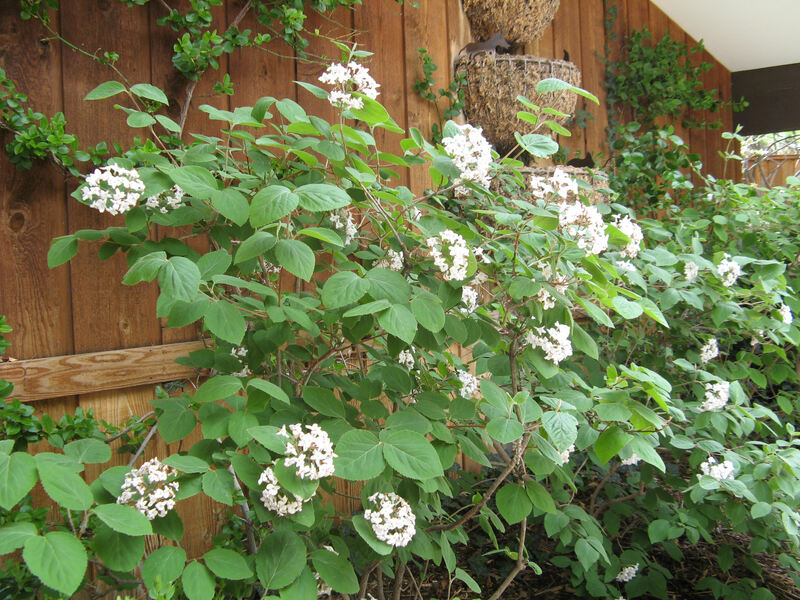 Commonly known as Koreanspice Viburnum, this shrub is versatile and easy to care for. Hardy to zone 4, which, in Colorado is about 7500 feet. It may also be grown in much warmer climates. 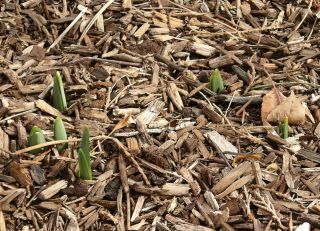 It will do well in most exposures, thriving if it gets a little break from the sun. 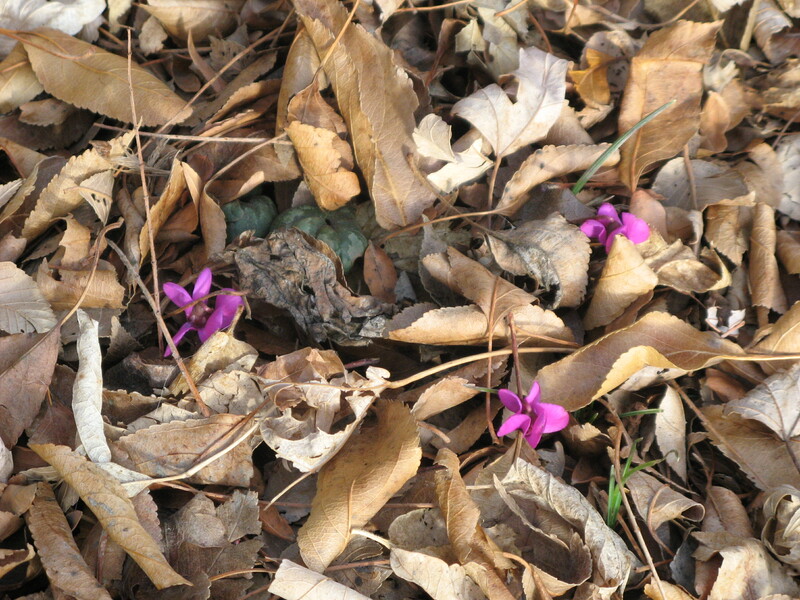 The beauty above is planted in nearly full shade at about 6500 feet. Once established, its water needs are moderate. It wants its roots in neutral to slightly acidic soil. 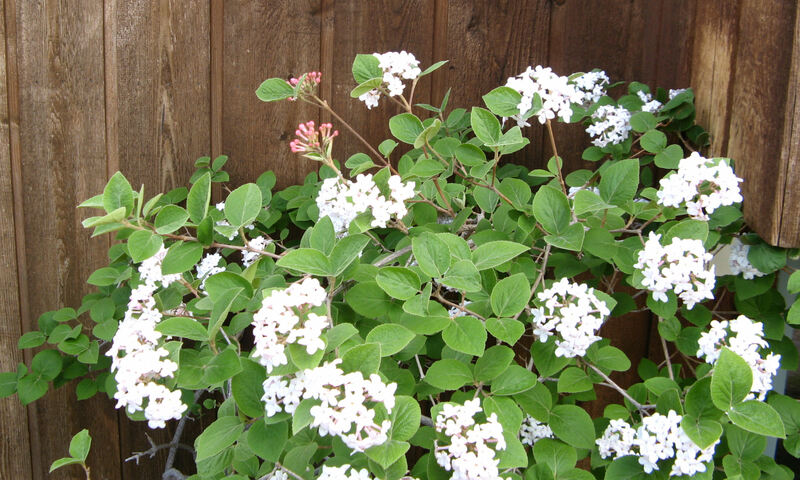 Perfect for smaller gardens, it is slow growing and compact, 4 to 6 feet tall and wide. The branches are upright, and the overall shape of the shrub is rounded. Very easily pruned to maintain size and shape. The slightly fuzzy, grayish-green leaves seem to avoid deer predation, except where visits are frequent or the season is lean on browse. Of course, the main attraction in mid-Spring are its highly fragrant and long-lasting flowers. 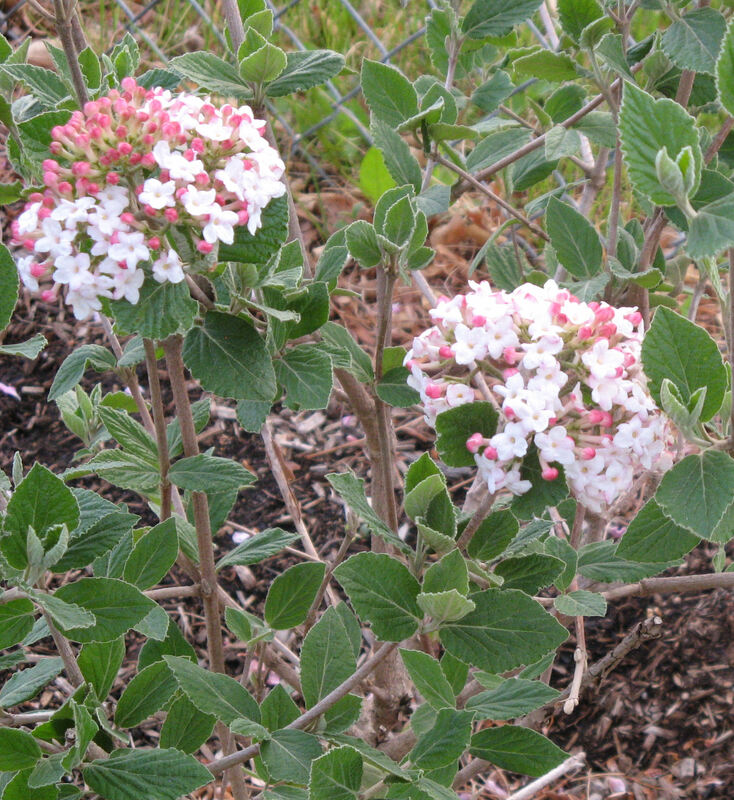 The flower clusters are up to three inches across. Rosy pink buds open to the palest blush and mature to nearly pure white. The scent travels on both warm and cool breezes. It is complex and hints at cloves. These wonderful flowers form red berries which mature to black. Fall color is usually reddish-orange. Plant one. Plant a mass. Whatever you do, place Viburnun carlesii where its intense perfume can be thoroughly enjoyed. With the cost of irrigation going up, you might be tempted just to turn off the spigot altogether, take the lawnmower to a donation center, and go someplace cool for coffee. 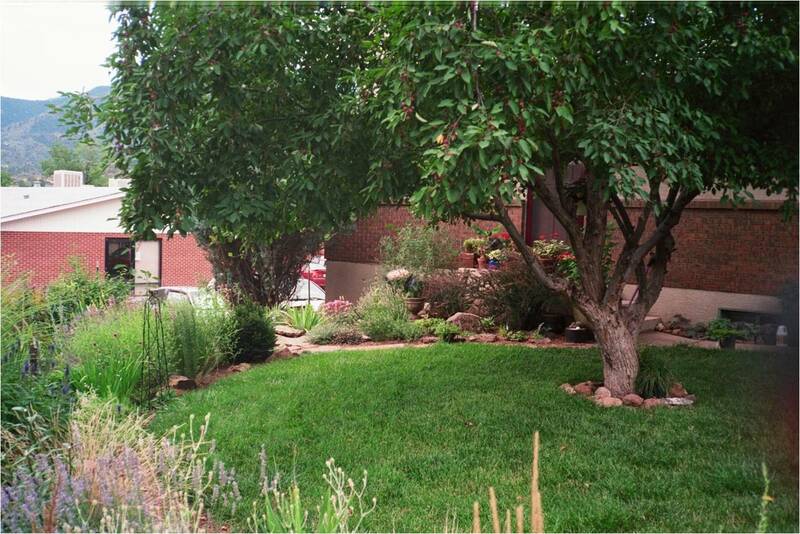 If simply abandoned, a typical urban yard in Colorado will turn into a dirt lot. Seriously. Do you really want to depress your neighbors that much? There are alternatives. 1) Figure out which grass you just might want to keep. A nice level spot, maybe a little high shade, so you can cool your feet, play croquet, or let the dog have a place to “go”. 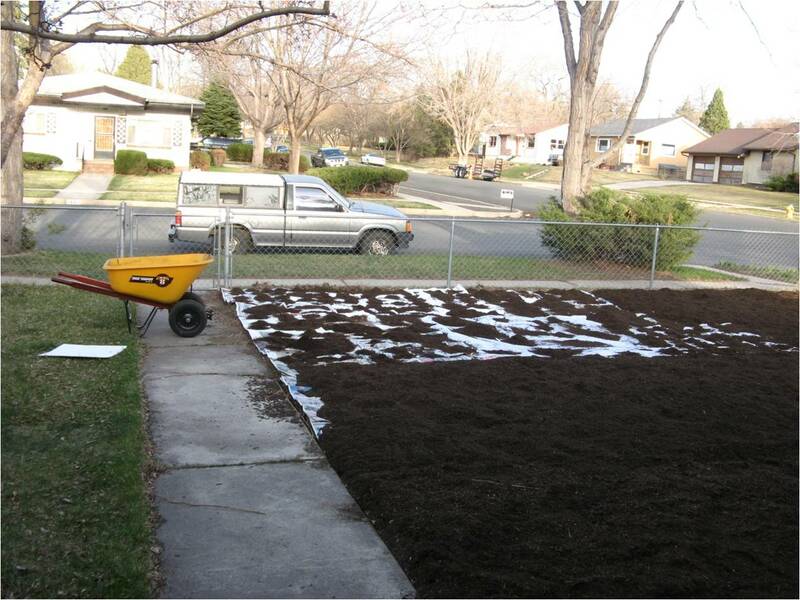 2) Dream up what you can put in the place of all that grass. Anything BUT rocks. 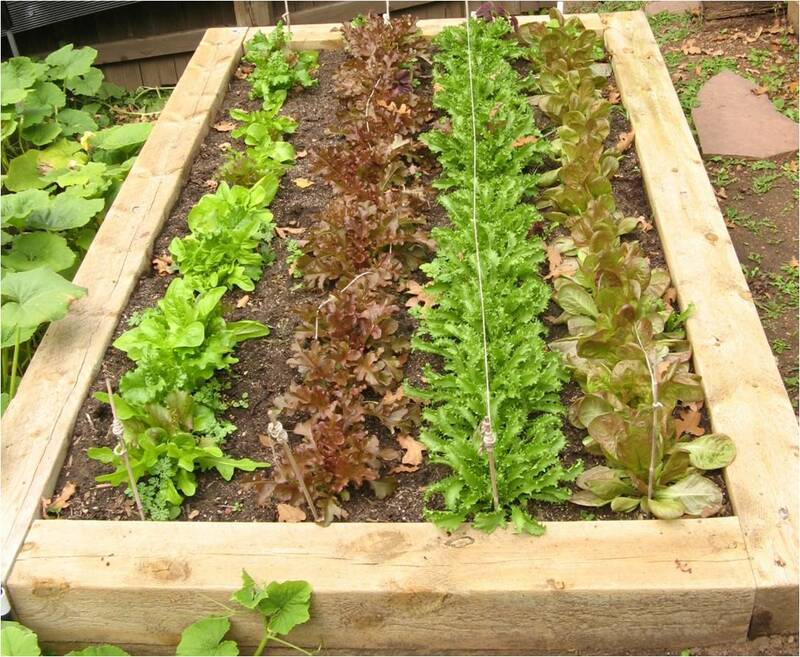 How about a vegie garden? Create habitat for birds! Put down some mulch, move in a bench, and take a nap. Flowers, now there’s a thought. 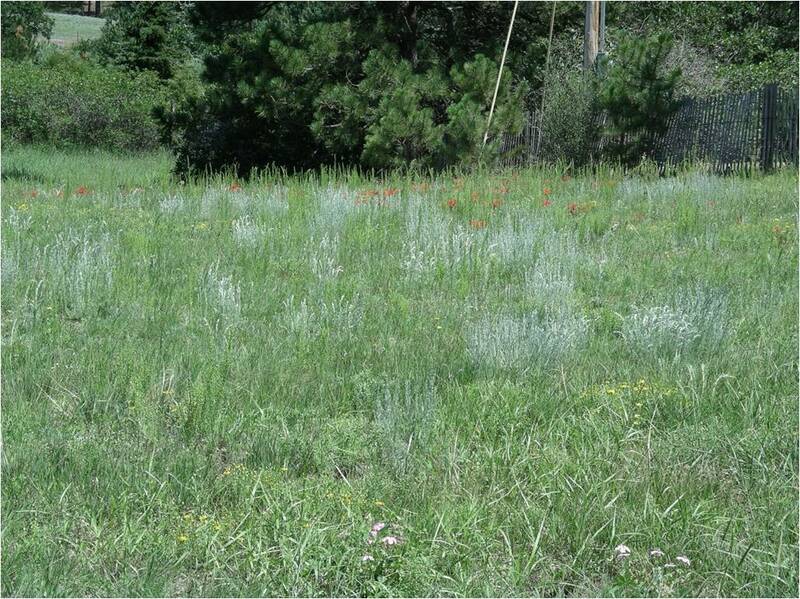 You could even plant native grasses. 3) Choose a method of elimination. Herbicide (poison). Removal (murder by spade). Or smother it. 4) Put something fun, useful, or pretty in its place. My friend, DB, took the plunge a couple of years ago. Got rid of all her bluegrass. 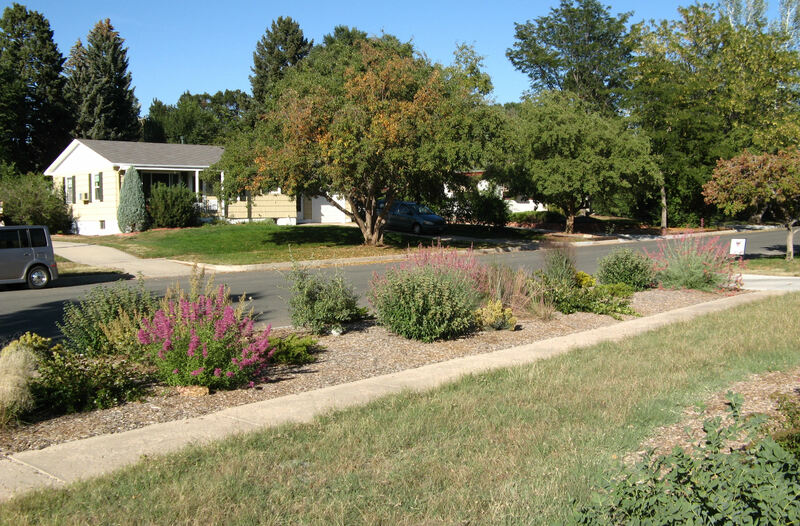 Replaced most of it with buffalo grass and made an eye-catching mixed border out of her parking median. The new look still fits the neighborhood, but takes almost no supplemental water to maintain. Have a look. 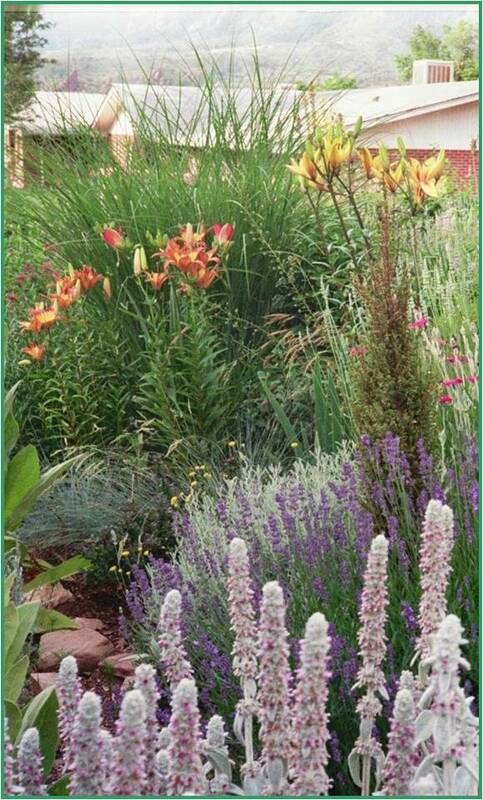 For the full show, so to speak, come on down to the Western Landscape Symposium in Pueblo or book Cheryl to speak for your group.